One of my minor hobbies (very well, obsessions) is collecting detective fiction, especially Golden Age mysteries. The British Library recently made collecting these a whole lot easier by republishing the best of a very long backlist with adorable covers adapted from period British Rail posters. I also hoard the Detective Club series of reprints. Basically, if Martin Edwards has written a preface for it, I'll collect it. I'll accumulate retro detective series by contemporary authors too - provided the perspective is ironic, not twee. (Hence Ian Sansom's The County Guides and James Anderson's Inspector Wilkins mysteries are welcome; Posy Parker and Rose Simpson less so). As you can imagine, I'm in seventh heaven when one of my mysteries unexpectedly sports a Russian connection. Normally, it's just a throwaway geopolitical remark by a bobby - as in Chesterton's The Man Who Was Thursday (1907), where a policeman charitably ascribes 'those chance dynamite outbreaks from Russia' to 'the outbreaks of oppressed, if mistaken, men'. (This book is also notable for the presence of a Polish anarchist called Gogol). Or take this longer excursus from R. Austin Freeman's short story "The Moabite Cipher" (1909), often anthologized to exemplify the talents of his 'medical jurispractitioner' hero, John Thorndyke. The plot opens with a visit to London by a Russian Grand Duke: the police, with proto-Trumpian enthusiasm, are seeing Jewish anarchist terrorists everywhere (although the mystery will eventually be prosaically explained as a burglary). A large and motley crowd lined the pavements of Oxford Street as Thorndyke and I made our way leisurely eastward. Floral decorations and drooping bunting announced one of those functions inaugurated from time to time by a benevolent Government for the entertainment of fashionable loungers and the relief of distressed pickpockets. For a Russian Grand Duke, who had torn himself away, amidst valedictory explosions, from a loving if too demonstrative people, was to pass anon on his way to the Guildhall; and a British Prince, heroically indiscreet, was expected to occupy a seat in the ducal carriage. Near Rathbone Place Thorndyke halted and drew my attention to a smart-looking man who stood lounging in a doorway, cigarette in hand. "Our old friend Inspector Badger," said Thorndyke. "He seems mightily interested in that gentleman in the light overcoat. How d'ye do, Badger?" for at this moment the detective caught his eye and bowed. "Who is your friend?" "That's what I want to know, sir," replied the inspector. "I've been shadowing him for the last half-hour, but I can't make him out, though I believe I've seen him somewhere. He don't look like a foreigner, but he has got something bulky in his pocket, so I must keep him in sight until the Duke is safely past. I wish," he added gloomily, "these beastly Russians would stop at home. They give us no end of trouble." A thought no doubt often voiced by Boris Berezovsky's neighbours on Belgrave Square when he popped round to borrow yet another cup of sugar. When I began Hugh Conway's 1883 bestseller Called Back, I was in for something special: not every British hero travels to Siberia to solve a murder (and clear his wife's name). This short novel was, according to Kenneth Harper and Bradford Booth, translated into Russian quite fast - within a decade of publication, not unusual celerity for popular British novels at that time. Its Russian title was, apparently, 'The Hallucination'. Hugh Conway (or Frederick Fargus, as his mother called him) died two years later of typhoid fever, and although his book would enjoy long-lasting success (a translation into Finnish; plagiarism by Emily Dickinson; screen versions in 1914 and 1933), his own star gradually sank below the horizon - at least until Martin Edwards wrote a preface about him. Called Back is highly sensational, but not, except for one major plot twist, very interesting today. The hero, Gilbert Vaughan, goes blind as a young man because of cataracts; he wanders into the wrong house, overhears a murder, then gets overpowered and drugged by the murderers; unable to prove the strange incident ever happened, he tries to forget it. He then undergoes such unsafe and counterintuitive cataract surgery I almost wanted to stop reading and research 19th-century ophthalmology on the spot, but he does regain his sight - and the lure of the promised plot development pulled me on. Gilbert falls for a beautiful yet mute, almost catatonic girl; hastily marries her with the consent of her enigmatic Italian guardian. 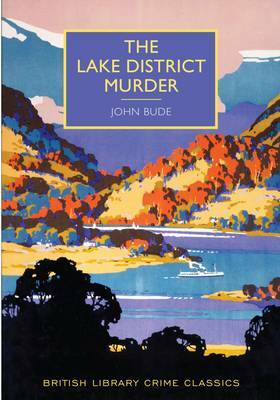 Later, holding his wife's hand, Gilbert experiences a waking dream that vividly re-creates the murder; clearly, he and the girl are both witnesses of the deadly deed; but what was the nature of her relationship with the murdered man? As his wife finally shows signs of returning sanity, Gilbert decides he must clear up the secret of her past before they can live together. The only way to clarify her background is to track down her guardian, a mysterious Italian called Ceneri who has previously boasted of spending his ward's entire inheritance on revolutionary activity. So far, so The Woman in White: but Gilbert soon leaves conventionality (and credibility) behind as he traces Ceneri, who has been implicated in a plot to assassinate the Czar of Russia. 'Although he called himself Italian, he was, in truth, cosmopolitan. One of those restless spirits who wish to overturn all forms of government, except that of republican'. After languishing several months in the Peter & Paul fortress in St Petersburg, Ceneri has been sentenced to twenty years' hard labour and dispatched in the general direction of Siberia. Gilbert hightails after him. (It might have been slightly easier to ask his wife, now she can talk again, whether she had a fiance before she went mad, but of course a fanatical republican terrorist man is more reliable than a hysterical woman any day of the week). The following chapter reads pleasingly like an abbreviated travelogue, as the hero takes the train to 'Moscow the colossal', passes 'the old picturesque but decaying town of Vladimir', steams along the Volga and Kama rivers to Perm where a 'tarantass' ('a sort of phaeton') is acquired, as well as a 'yemshik' to cajole the post-horses. Gilbert offers the odd thoughtful meditation on Russian ways - the importance of correct paperwork, the way the 'rigid and careless despotism' of the Czar is reflected in the ruler-like straightness of the railway, even a private interview in the Hermitage with Alexander II ('a tall noble-looking man in military attire...[...]. Two years ago when the news of his cruel death reached England, I thought of him as I saw him that day - in the prime of life, tall, commanding, and gracious - a man it does one good to look at. Whether - if the whole truth of his great ancestor Catherine the Second's frailties were known - the blood of a peasant or a king ran in his veins, he looked every inch a ruler of men, a splendid despot'). Although the chapter title ('A Hell on Earth') rather betrays his conclusions about Siberia, he reserves criticism for the conditions created there by men rather than the land itself: 'The weather was glorious, almost too glorious. The cultivated country we passed through looked thriving and productive. Siberia was very different in appearance from what is usually associated with its name. The air when not too warm was simply delicious. [...] The wild flowers, many of them very beautiful, grew freely; the people looked well and contented. Altogether my impressions of Siberia in summer were pleasant ones'. On he goes, past Achinsk, Krasnoyarsk, all the way to Irkutsk - described as charming towns except for the presence in each one of an 'ostrog' or jail, for convicts in transit: 'a gloomy square building, varying with the size of the place, surrounded by a tall palisade, the gates of which were barred, bolted, or sentried'. Gilbert recounts with horror the overcrowded cells where prisoners were housed 'like sardines in a box', with high mortality rates and extra pressure on space during spring floods: 'Men, sometimes unsexed women with them, huddled into rooms reeking with filth, the floors throwing out poisonous emanations - rooms built to give but scanty space to a small number, crowded to suffocation'. Eventually, Gilbert catches up with his particular convict, elicits the information he needs, and returns reassured to his bride - not without a pang or two of conscience at leaving the Italian revolutionary behind to penal labour in the mines at Nertchinsk (an important trading station on the Amur river, which was visited by Jeremy Bentham's brother Samuel in the previous century). Terrible and endless as were the torments which were inflicted on the criminals, there was at least some semblance of justice shown them before and after they were sentenced, but in the case of the political prisoners there was not even that semblance, as Nekhludoff saw in the case of Sholostova and that of many and many of his new acquaintances. These people were dealt with like fish caught with a net; everything that gets into the nets is pulled ashore, and then the big fish which are required are sorted out and the little ones are left to perish unheeded on the shore. 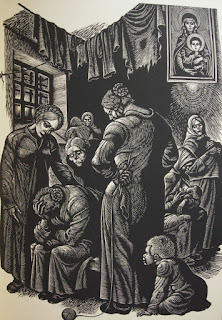 Having captured hundreds that were evidently guiltless, and that could not be dangerous to the government, they left them imprisoned for years, where they became consumptive, went out of their minds or committed suicide, and kept them only because they had no inducement to set them free, while they might be of use to elucidate some question at a judicial inquiry, safe in prison. The fate of these persons, often innocent even from the government point of view, depended on the whim, the humour of, or the amount of leisure at the disposal of some police officer or spy, or public prosecutor, or magistrate, or governor, or minister. Tolstoy was, as we know, fond of reading British sensational novels (often aloud in the bosom of his family) - and his heroine Anna Karenina read a mysterious British bodice-ripper on the fateful train journey back to St Petersburg. But could he have read Conway too? 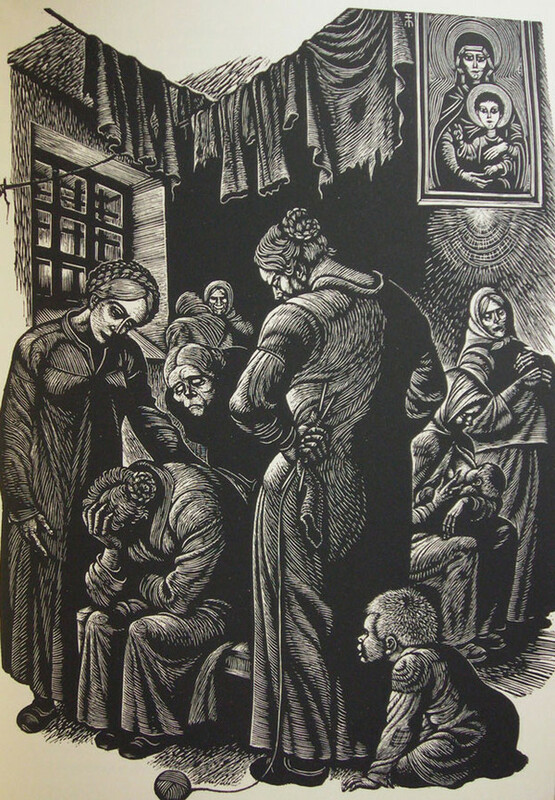 Could Gilbert's whistle-stop tour of Siberian jails have inspired Resurrection? Sadly, there's no evidence of the book ever having crossed the threshold of Tolstoy's home, Yasnaya Polyana. But who knows? Conway's novel was translated as 'The Hallucination', after all - perhaps Tolstoy just dreamed he read it.